Popularly known as “small Tibet” Xiahe is a county with breathtaking landscapes of towering mountains, rivers, lush greenery, and rare faunae. It is located on the northeastern end of the Qinghai-Tibetan Plateau in the Gansu Province of China. Xiahe lies on the banks of the Daxia River which flows between two massive Trans-Himalayan mountains. 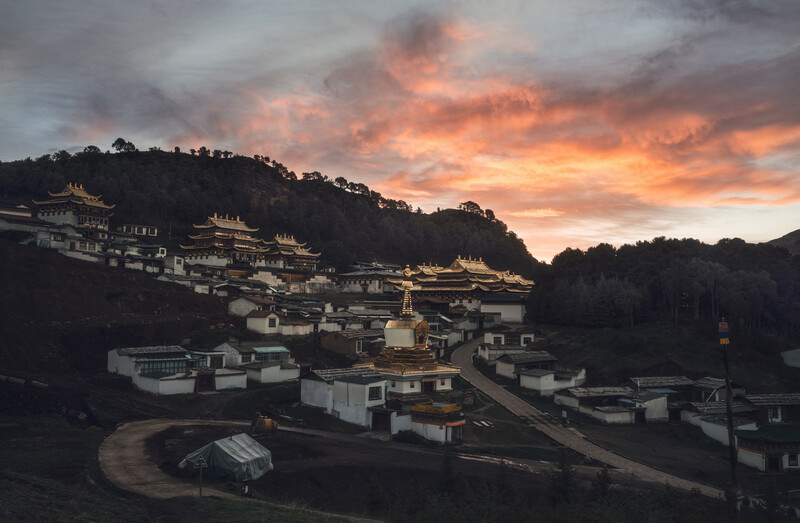 The county has a charming Tibetan Buddhist culture that exemplifies peace and harmony, although there are a number of Han Chinese, Muslim, and other people too. The county is a favorite destination of mountaineers, trekkers, naturalists, professional photographers, tourists, pilgrims, and people wishing to learn meditation. Xiahe County is well-known for the Labrang Monastery located in the northwest corner of the county at the foothills of the Phoenix Mountain. The monastery is the highlight of the region because it is not only a place of pilgrimage but is also an educational center and popular tourist attraction. 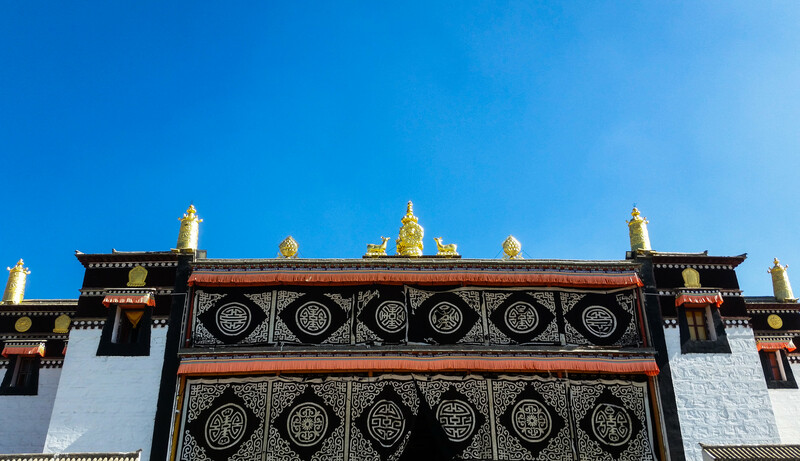 It houses the Gansu Provincial Buddhism College and has a vast collection of Buddha statues made with gold, silver, copper, and aluminum. 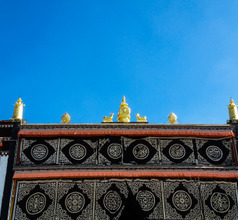 It also has an unusual collection of Buddhist hats and other treasures decorated with diamonds, jade, pearls, and agate. For those seeking modern pursuits, the topography of Xiahe County is perfect for serious hiking. The dense primeval forests are abundant in hiking trails that lead up to the suitable natural platforms. These ledges or platforms provide a fantastic panoramic view of snow-capped mountains, thick jungles, water bodies, waterfalls, and more. The most popular hiking path is behind the Labrang Monastery along the river and up the mountain. 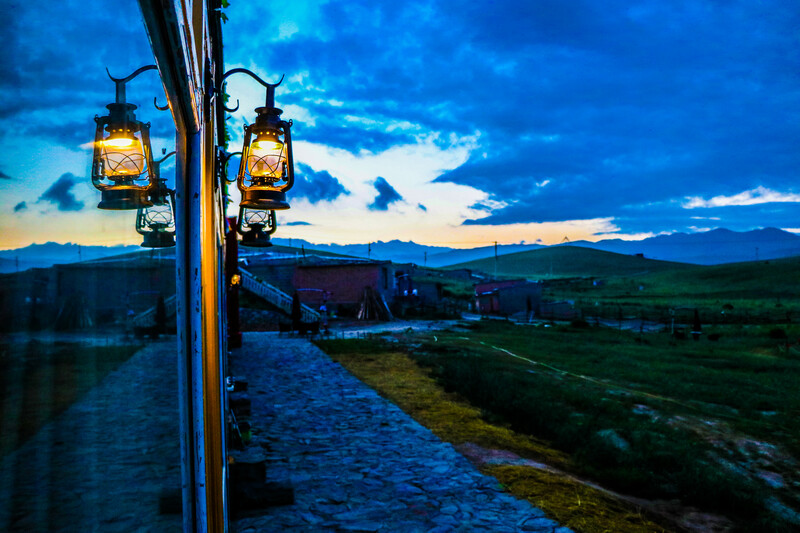 The county of Xiahe has been and still is a must-visit tourist destination. Despite its apparently remote location, the county has a wide choice in top-quality and comfortable accommodation. 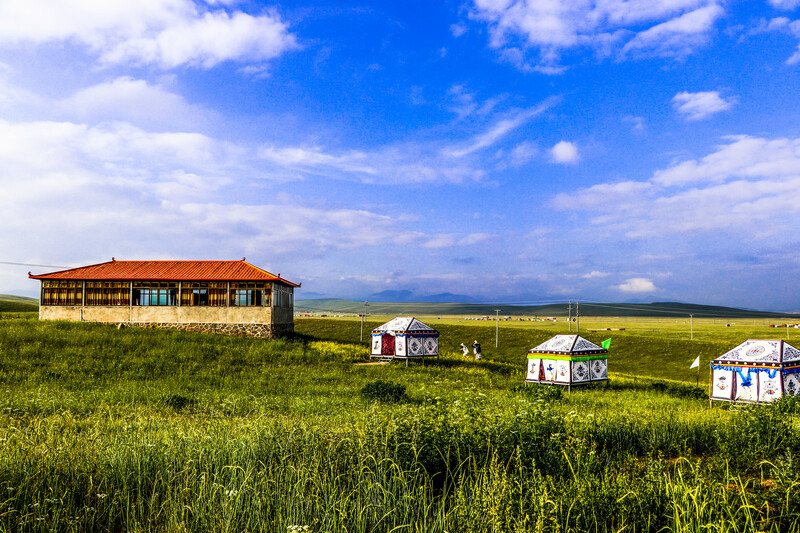 One can choose from 3 and 4-star hotels, youth hostel, guesthouses, and homestays with the Tibetans who are a very helpful tourist-friendly lot. 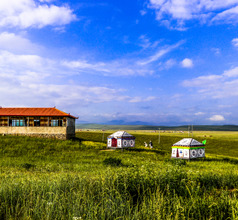 Comfortable tent-style accommodation is available in the grasslands. The star hotels have various amenities including multi-cuisine restaurants. The low-priced places are clean and have basic amenities. The Manjushri Kadamba Meditation Center is one of the most impressive sites in Xiahe County. The complex is huge and looks like a castle. It contains several aesthetically decorated meditation halls, Buddha statues, learning centers, and prayer rooms. The halls constantly reverberate with the chants of the monks giving one a feeling of inner peace. 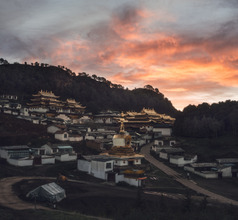 The sculptures made with yak-butter, prayer wheels and the silver Chortens (saint’s tomb or shrine) with living incarnations of the Buddha are must-sees. The Thangka Sunning Terrace is a naturally-formed stone slope on the hill behind the Labrang Monastery. It is a wonderful vantage point to see the views without having to climb too high up the mountain. During the Tibetan New Year celebrations, a gigantic holy Thangka (silk cloth with hand-painted deities or religious text) stored in the monastery is rolled out on the Sunning Terrace so that pilgrims and tourists can view it. 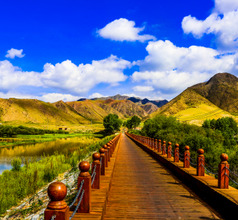 Other scenic areas and tourist attractions in the Xiahe County are the ancient town of Bajiao (a stockaded village of the Han Dynasty), Ganjia Grassland, Sangke Grassland, Bai Shi Ya (White Rock Cliffs), Darzong Lake, and Gongtang Chorten. Xiahe Gannan Airport has been operational since 2013, providing air connectivity to the region in Gansu province that is represented by Gannan prefecture. The airport is 72 kms from Xiahe and it takes a whopping 2 hours to reach by car, going through County road 408. Flights only go to Yinchuan, Chengdu, Xi’an and Lhasa airport, three to four times in a week. Sichuan and Tibet Airlines are the only companies operating for Xiahe airport. 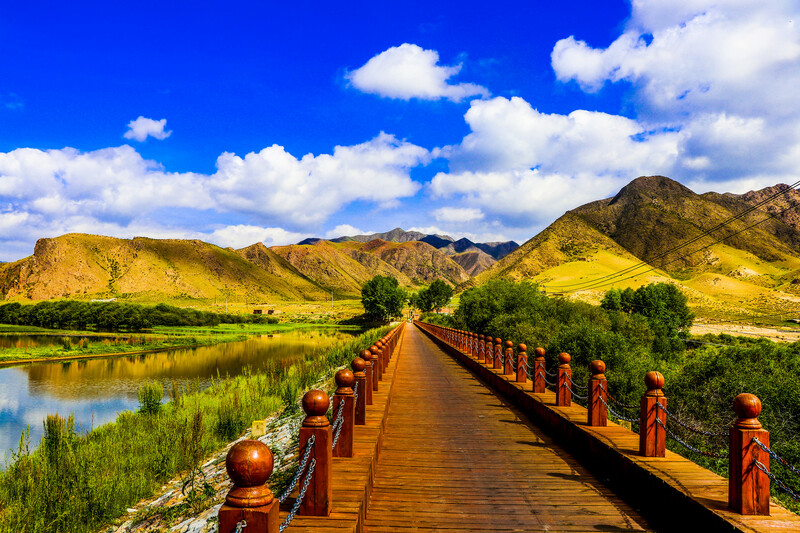 Being a popular tourist zone, Xiahe County has grown into a cosmopolitan place. 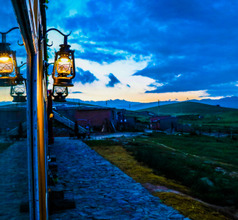 There are several Tibetan, Muslim, Chinese, Mongolian, and Western-style restaurants in different parts of the county. A majority of the eateries are located along the Renmin Xi Jie (road) that leads towards the Labrang Monastery. The local food specialties that overseas tourist usually prefer are yak milk and yogurt, yak meat burgers, barbequed beef, Muslim-style beef with flatbread, Sichuan-style beef of lamb, Tibetan momos (dumplings), Tibetan yak-butter tea, Muslim tea with milk and sugar, Tibetan tsampa (barley flour and yak butter balls), rice with sweet potato, etc.